Professor Adrian Furnham is an Organisational and Applied Psychologist and Management Expert. Furnham was educated at the London School of Economics where he obtained a distinction in an MSc Econ., and at Oxford University where he completed a doctorate (D.Phil) in 1981. He has subsequently earned a D.Sc (1991) and D.Litt (1995) degree. Previously a lecturer in Psychology at Pembroke College, Oxford, he was Professor of Psychology at University College London from 1992 to 2018. Professor Furnham has lectured widely abroad and held scholarships and visiting professorships at, amongst others, the University of New South Wales, the University of the West Indies, the University of Hong Kong and the University of KwaZulu-Natal. Adrian consults to many organisations in various different sectors (particularly airlines, banks, civil service) and in many different countries (particularly continental Europe and Asia). 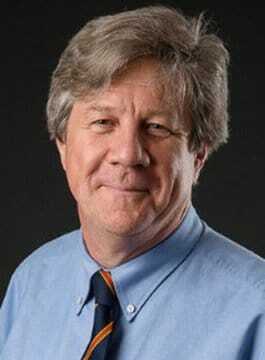 Adrian Furnham has written over 1300 scientific papers and 85 books. He is on the editorial board of a number of international journals, as well as the past elected President of the International Society for the Study of Individual Differences. He is also a founder director of Applied Behavioural Research Associates (ABRA), a psychological consultancy established over 30 years ago. Like Noel Coward, he believes work is more fun than fun and considers himself to be a well-adjusted workaholic. He rides a bicycle to work (as he has always done) very early in the morning and does not have a mobile phone. Adrian enjoys writing popular articles, travelling to exotic countries, consulting on real-life problems, arguing at dinner parties and going to the theatre. He hopes never to retire! As a keynote speaker, Adrian Furnham is approachable, well-informed and entertaining.